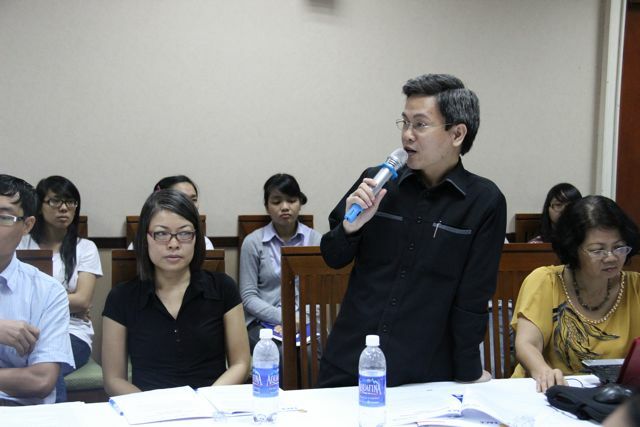 (VNF) – A number of universities have started acting to combat plagiarism, which has become an alarming issue among students and instructors in Vietnam. According to the Vietnam Net, these universities include state-owned Hanoi National University, Hanoi Foreign Trade University, Hanoi Economics University, Hanoi University of Education, HCMC University of Economics, and non-state owned universities such as Ton Duc Thang and Hoa Sen (HCM.City). The software will be used is DoIt, which has been run in Hanoi National University since 2016, is able to discover identical paragraphs in different documents. DoIt was an app developed by a team headed by Dr Vo Dinh Hieu (Hanoi Technology University), a member school of Hanoi National University. According to Hieu, the software is being used by all the member schools of Hanoi National University to discover plagiarism, and its database has been updated and developed. “About 5,000 people have registered to use the software. DoIt now has 10,000 documents. The software can scan 30-40 documents a day,” Hieu said. Currently, DoIt is a free-of-charge app and can be used by anyone. According to a lecturer in the Education University, a member school of Hanoi National University, which has been using DoIt for two months, the school is utilizing the software in checking the theses of postgraduates. In the near future, the software will also be used for undergraduate education as well. “Theses will have to go through the software before submission,” the lecturer said. Meanwhile, Turnitin, a same-function software which has been widely run in numerous universities in the world, has been put into use by some Vietnamese colleges. Through using these software, articles, research papers, lesson plans, and theses will be checked to see whether they contain similar contents with published writings. It can also be able to point out which sources the similar parts were taken from, and each school will have its own regulation on how much similarity is considered plagiarism. A lecturer at the Mathematics Faculty at the Hanoi University of Education said postgraduates are required to submit theses with the signatures of lecturers to certify that theses have been checked with Turnitin. If plagiarism is discovered after the lecturers’ check, lecturers will have to take responsibility for the cheating. 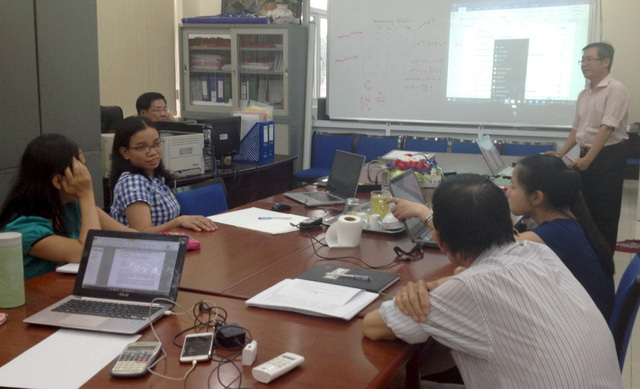 At Ton Duc Thang University, the check of theses via software has been done for the last seven years. Duong Thi Thuy Van, director of the IT Center, said the requirement initially worried students. “Students did not understand what plagiarism meant and they did not know how to quote correctly. Therefore, their works were rejected,” she said. “However, everything his now on the right track after one year,” she said. There are few schools which check all essays and theses of university students. Other schools only require the check of postgraduates’ works. According to local experts, plagiarism is not new but has become more and more common since the rise of the Internet, which has become a convenient and low-cost supply of documents for people to plagiarize. Plagiarism will limit the ability to develop students’ important skills, such as reading, writing, research, analysis and organization, and creativity. In NTU, depending on the severity of the case, penalties can involve: re-writing the paper, and re-submitting it (with a grade penalty); receiving zero for that assignment, or expulsion from the university, especially after repeated cases of plagiarism. According to Tran Long Giang, vice head of the research institute of the Maritime University, his agency has used plagiarism examining software since 2014. It has helped increase the quality of writings with detailed references mentioned, as well as to limit the replication of graduation theses and lesson plans, he said. However, in addition to using anti-plagiarism software, prevention measures must be considered, since the software still has limits. For example its database on the Vietnamese language used in technical fields is not as large as it should be, so some cases of plagiarism have been missed, Giang said. At the moment, schools are suggested to bring writing methodology into the official curriculum, increase modules on creativity, and change learning outcome assessment methods, as well as strictly curb plagiarism to educate and raise students’ awareness of the issue. Currently, at the University of Science & Technology of Hanoi (USTH), students take the subject Scientific Writing and Communication (SWC) in which they are taught how to write study reports, dissertation reports, research outlines, dissertations, and scientific articles for specialized journals./.